Shoeless Hoes? You’ll find neither shoes nor hoes (a type of gardening tool, for the uninformed) at the long-abandoned and unfortunately named Hoe Bowl in Hyde Park, New York. 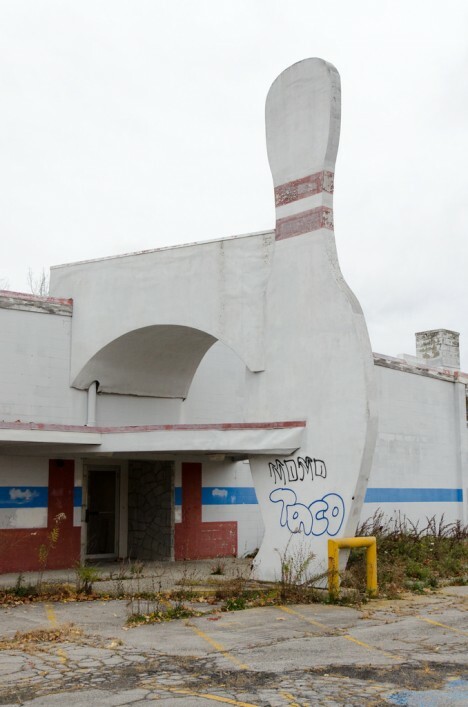 Flickr user Edward Blake (edwardhblake) snapped the stricken state of the once-stylish bowling alley in November of 2014. 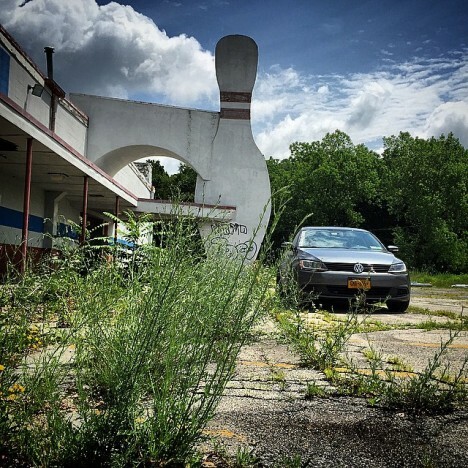 HoeBowl Family Recreation Centers, founded in 1958 and led by current CEO Diane Hoe, is a chain of bowling alleys centered in New York’s Hudson Valley. 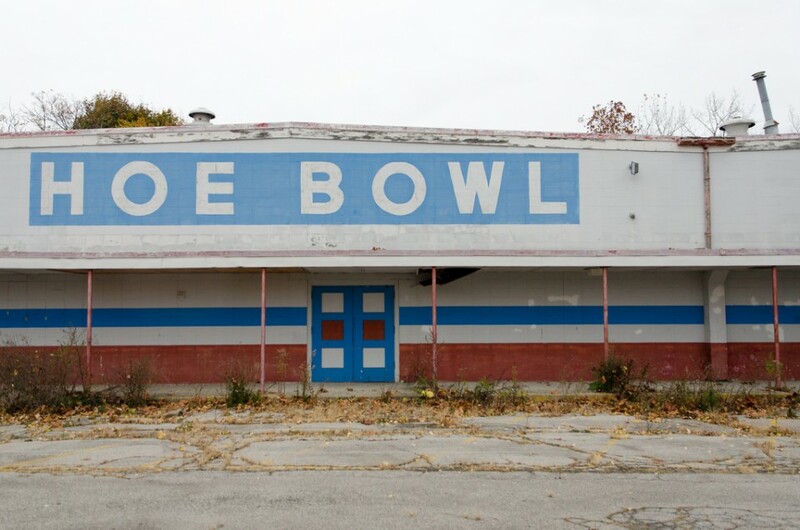 The Hyde Park location closed just after the turn of the millennium. In September of 2013, the property was sold to James Rogers, who received approval to build a 76-resident assisted living center at the site. 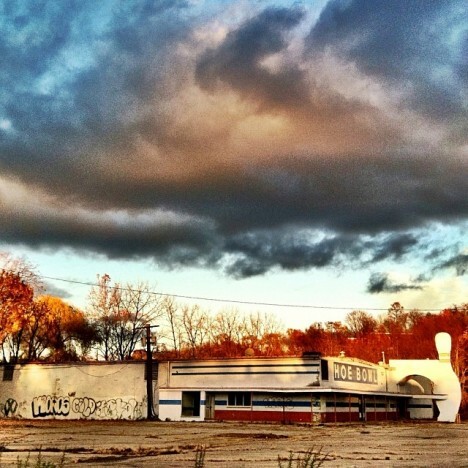 Recent images, however, show no sign of impending demolition. One might say… the Hoe must go on! 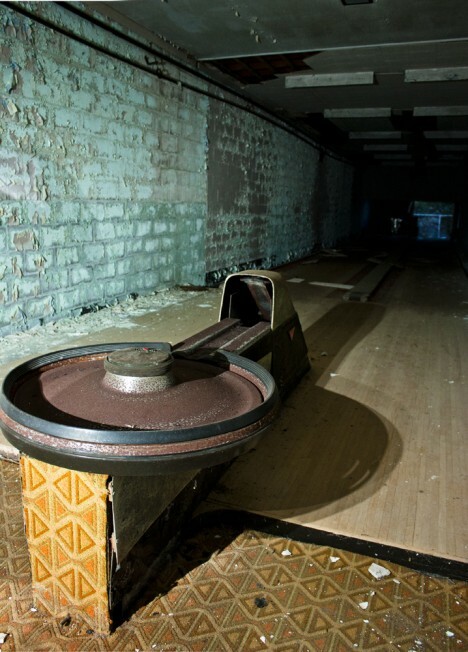 Flickr user Corrine Klug checked out the abandoned bowling alley hidden deep within the deserted Scranton Lace Company’s factory in January of 2012. 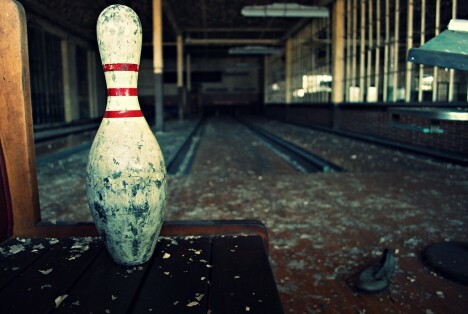 A decade earlier, the company’s vice president infamously told employees, in the middle of a working shift, that the facility was closing “effective immediately.” One presumes the stunned workers dropped everything – bowling balls included (ouch!) – and trudged out the doors, never to return. Remember those funky circular-ball-returns? This one’s funkier than most and the cheese-tastic carpeting only adds to the scene’s essential mustiness. 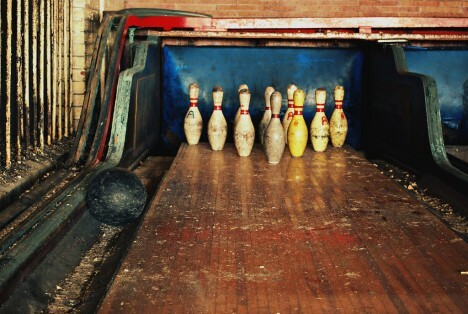 Flickr user b lowe (vittelsandjuice) brings us this abandoned bowling alley still life dating from late 2011.